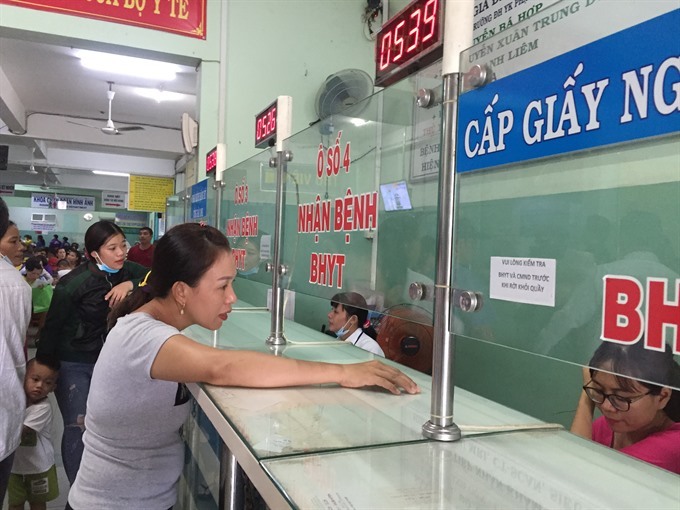 HCM CITY — Financial and managerial autonomy for public hospitals has yielded positive changes, but district hospitals have seen limited benefits and face new challenges. In October of last year, the Government granted managerial and financial autonomy to public hospitals in HCM City with the aim of improving performance and reducing the burden on the Government’s budget. Improvements have included upgraded facilities, and better medical techniques and service quality. Nguyễn Văn Mười, director of Bình Tân District Hospital, said they had gained positive results from the implementation of full autonomy since the fourth quarter of last year. Located at the gateway to the Cửu Long (Mekong) Delta region and five industrial parks in the district, the hospital can treat a large population of patients, with insured patients accounting for a majority, according to Mười. The number of out-patients has risen steadily, with an average of 1,500-2,000 patients a day, he said. The hospital receives patients from Mekong Delta provinces starting at 4 am every day. To attract more patients, the hospital has expanded the range of specialties, healthcare services and state-of-the-art equipment, and has adopted more advanced medical techniques transferred from major hospitals. To improve patient satisfaction, medical workers have received training on correct attitude and behavior to patients. Phạm Quốc Dũng, director of District 11 Hospital, said they had suffered losses because expenditures had exceeded turnover since it was granted full autonomy in January. “The hospital finds it difficult to balance revenues and expenditures,” he said. Since early this year, the hospital has not received state funds to pay for salaries and purchase new medical equipment, creating a burden on the revenue-generating public hospital. Although the hospital has upgraded facilities and offered high-tech services, it has not attracted a sufficient number of patients and earned enough revenue. Dũng said they must compete with other public and private hospitals, with many close by. To ensure sufficient revenues, the hospital is struggling to increase its monthly incoming by at least 13 per cent, and that’s without reducing spending and human resources. The hospital offers health care check-ups and treatment for 1,500-1,700 patients a day, with insured patients accounting for 80 per cent. Hồ Hải Trường Giang, director of Củ Chi District Hospital, said revenues are low as most patients in the outlying district are poorly insured. In 2012, the hospital was upgraded and equipped with modern technologies at a cost of VNĐ 340 billion (US$14.94 million). But a severe shortage of medical workers and doctors resulted in difficulties attracting patients, Giang said. Hospitals with full autonomy are facing challenges attracting and retaining qualified doctors, and adopting advanced medical techniques, Dũng said. If public hospitals fail to improve salaries and welfare for medical staff, they will face a brain drain of qualified personnel who will seek employment in the private sector, he said. Nguyễn Văn Mười, director of Bình Tân District Hospital, said like other district-level hospitals, it has a shortage of qualified doctors. In spite of having limited financial resources, the hospital has to invest in training for doctors and medical workers as well as procure modern equipment and supplies. 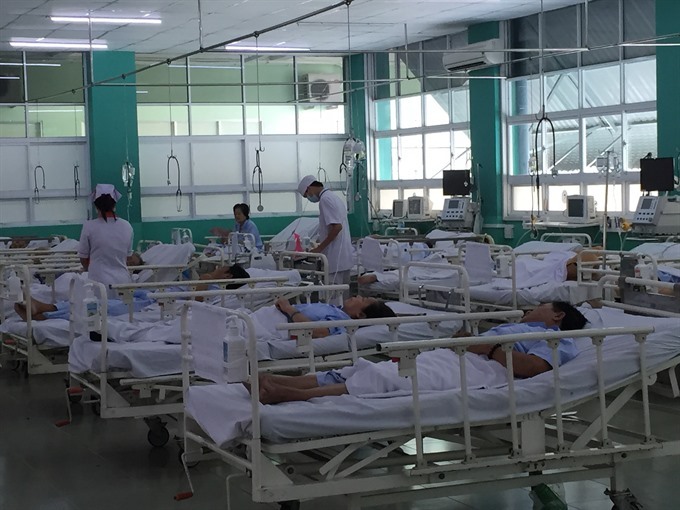 A majority of patients at district hospitals are insured patients and poor people who cannot afford high-tech health care services, Mười said. Every year, the hospital loses a large amount of money covering unpaid hospital fees for poor patients, he said. The city authorities should offer incentive policies for district hospitals to support poor patients and people eligible for social welfare. Tăng Chí Thượng, deputy director of the city’s Department of Health, said fully autonomous hospitals should adopt advanced technologies in various specialties and improve the quality of health care services to attract patients as revenues depend on the number of patients.